How would you choose to live, if you were diagnosed with a life-threatening illness? What are the most important things in your life? What can’t you live without? The theme of National Palliative Care Week (24-30th May) this year is “Dying to talk; talking about dying won’t kill you”. In fact, talking about how you want to live and die can be empowering and bring you closer to those who matter most to you. On the other hand, not talking about it can lead to regret – both for you but also for those you leave behind. 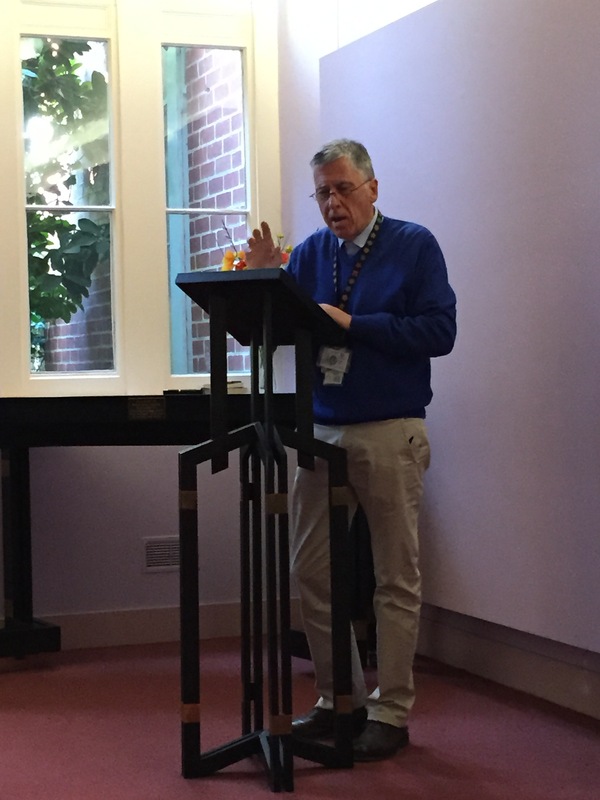 As part of National Palliative Care Week, the Palliative Care Service at Alfred Health hosted a public forum on Monday, discussing the topic: “The Top Five Regrets of the Dying”, based on a book by Australian palliative care nurse Bronnie Ware. 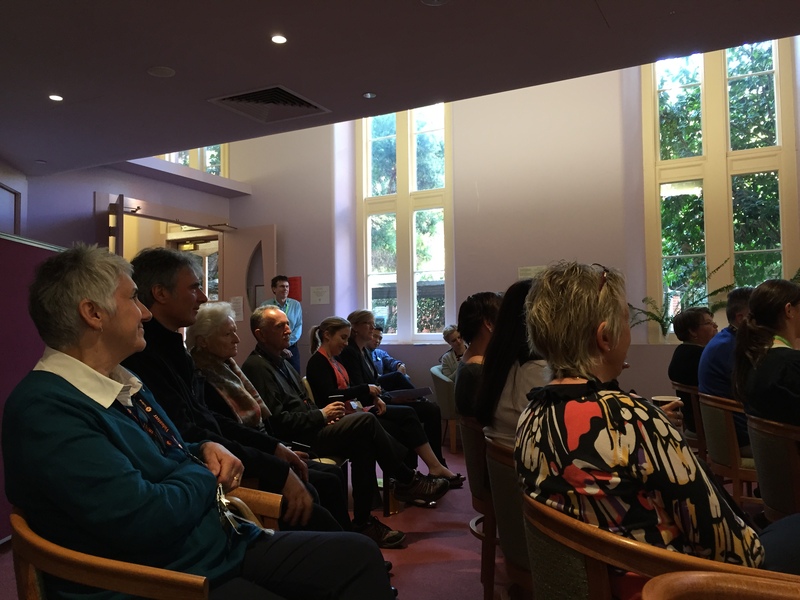 In front of a packed audience in the Spirituality Centre, located on the ground floor of The Alfred, the forum was opened by Dr Michelle Gold, Director of the Palliative Care Service, followed by a thoughtful introduction from Ms Janet Weir-Phyland, Executive Director of Nursing Services and Chief Nursing Officer. The audience, consisting of staff and patients, then shared their reflections and stories between cups of tea and bites of fresh fruit. 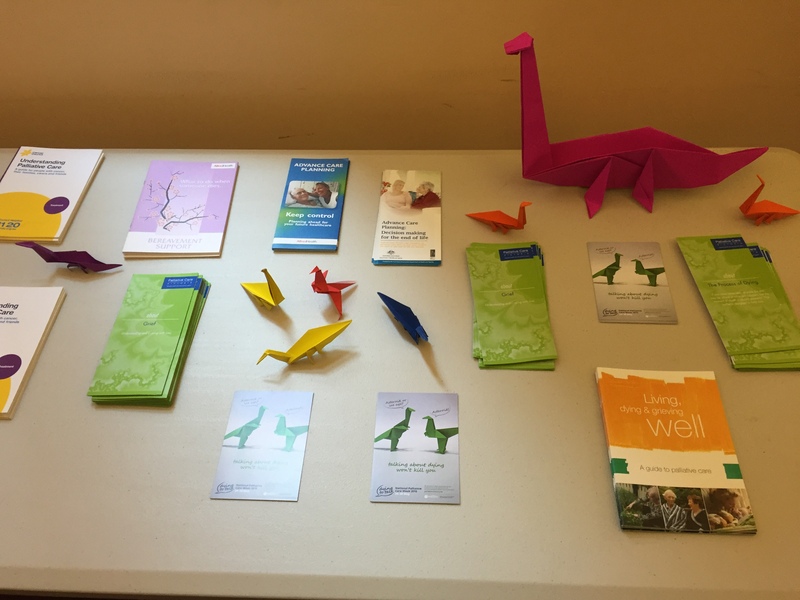 They were also invited to take an origami dinosaur – the mascot of National Palliative Care Week 2015 – to remind them of the importance of starting the conversation on how they want to live and die with their loved ones. Incidentally, Michelle was also interviewed about palliative care by Lindy Burns on 774 ABC Melbourne on Tuesday, alongside Alfred Health Legal Counsel Bill O’Shea and Head of Consultation-Liaison Psychiatry, A/Prof Steve Ellen. The program podcast can be found here: https://soundcloud.com/774-abc-melbourne/health-regulation-palliative. Michelle’s interview starts at 22:20. Do you have any stories to share from National Palliative Care Week? Did you meet someone who was #dyingtotalk or did you have your own “Conversation that Count”? 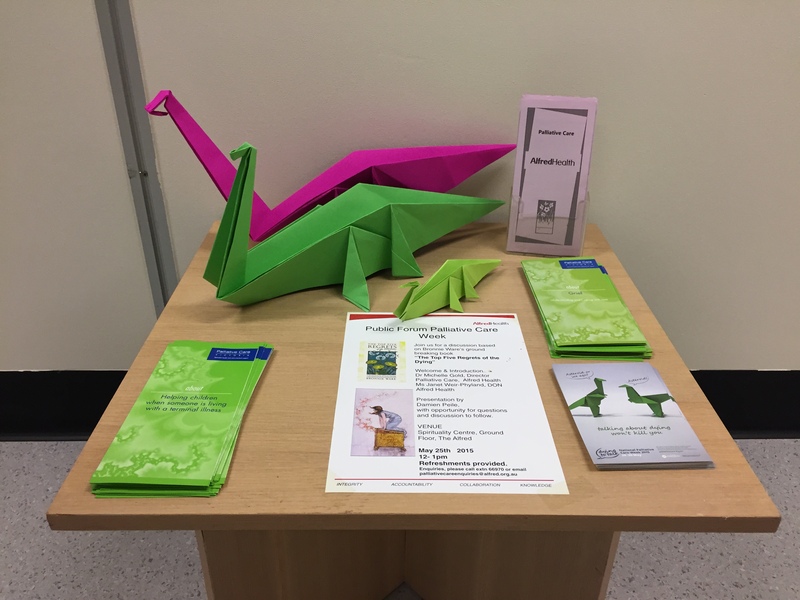 This entry was posted in Ideas, People and tagged #dyingtotalk, #hpm, #hpmglobal, #NPCW15, advance care planning, Palliative Care Australia by Chi. Bookmark the permalink.